TOURISTS at the Grantham Farmworkers Lodge are untapped assets, according to managers Rod Applin and Grace Tolcher. With qualified plumbers, engineers and electricians among their lodgers, the managers said local farmers would benefit from hiring the boarders. "These guys aren't after skilled labour. If I was a farmer and I had a huge irrigation system and I knew there was a plumber looking for paid labour work, (I know) it'd work a lot better for me,” Mr Applin said. At present, the lodge houses more than 100 tourists but it receives up to 10 inquiries every day from international residents looking for farm work. "We actually help them find jobs,” he said. Mr Applin said when farmers in need of labour contacted the business, he was able to fill the positions almost immediately. "If farmers ring up and say they need three workers, I'll go around, get three workers and drop them to work for the day,” he said. "What we need is probably more of farms in the district to either send us through an email when they're hiring and we can put it on a job board. Since opening in late July, demand for accommodation at the Farmworkers Lodge has exceeded expectations. "When we opened, because we were in the off season, we weren't expecting to have any more than 50 people,” Mr Applin said. "Every one of them so far treats us and thinks of us as their Australian parents,” he said. "It's just like a neighbourhood. It's a big cul-de-sac where everyone knows everyone. Initially the electricity capacity was limited to catering for about 100 beds but two weeks ago the site became fully functional with lodgings of 250 beds connected to power. The facility is equipped with a restaurant and bar which is expected to open next week when the licence arrives, creating four jobs. 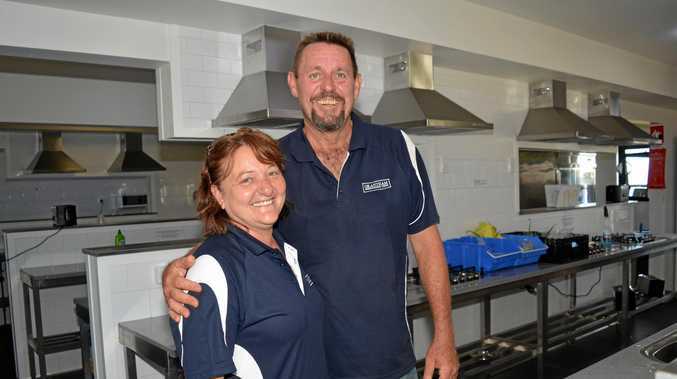 "We've gone through BEST Employment and they've supplied us with four locals,” Mr Applin said. Farmworkers Simone Petrini and Nara Garcia arrived when the lodge first opened said they thoroughly enjoyed their stay. "The rooms are awesome,” Mr Petrini said.